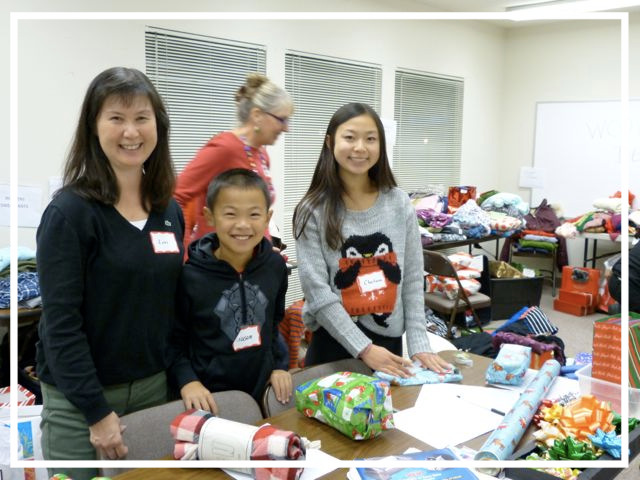 Each year, with the help of the Marin community, LITA collects new clothing for the residents of Marin's long-term care facilities who would otherwise not receive a gift during the holiday season, and often do not have many clothes. 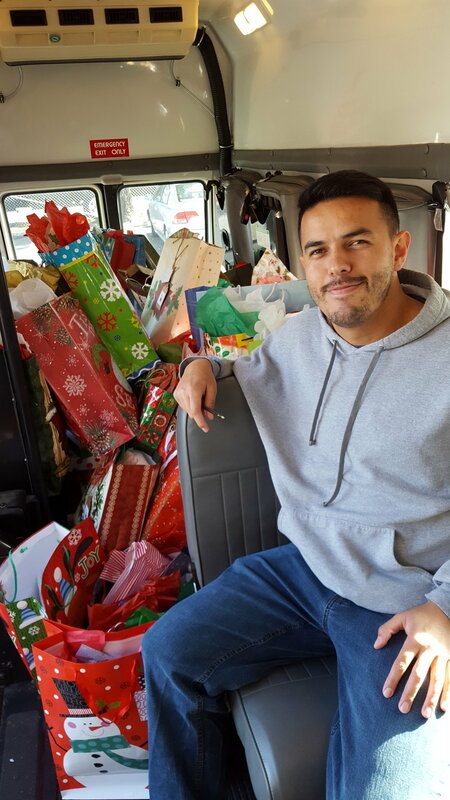 In 2017 over 400 gifts were collected and wrapped by volunteers and distributed to our most in-need facilities. We must receive all gifts by December 14th to have time for wrapping and delivery! Bobbie of Rolling Hills delivering gifts donated by the members for residents of Novato Healthcare. Sandra and Marie of Novato Healthcare get ready to distribute gifts to residents. Community volunteers spend the day wrapping all the donated gifts.